Striking Telkom workers have refused to hand over their memorandum of grievances to anyone but CEO Reuben September. “Re eme mo mona, ga re tsitsinyege [we are standing here, we are not moving],” they sang during a march to Telkom headquarters in Pretoria on Wednesday, threatening to sleep there if September did not receive their memorandum in person. “We want Reuben, nothing else,” they shouted when they were told that a company representative would accept the memorandum on September’s behalf. The angry workers booed their leaders’ suggestions to leave and arrange another date on which to hand over the memorandum. 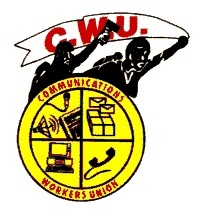 However, when Communication Workers’ Union general secretary Gallant Roberts established that September was not at Telkom’s offices, it was agreed that the memorandum would be handed over on Thursday. This is when CWU and Telkom negotiators meet at the Commission for Conciliation, Mediation and Arbitration in Johannesburg. Roberts hopes Telkom will put a better offer on the table at the talks. Workers would picket outside the CCMA during the meeting, and would not go back to work until their demands were met, he said. Telkom workers embarked on their strike on August 3, demanding a 13% wage increase and the adjustment of what their union terms “racially classified” salary grades. Telkom was offering a 7,5% increase. The CWU indicated that workers would accept this offer if salary scales were adjusted before it was implemented to give workers an overall, effective increase of 12% or more. It also wanted the increase backdated to April instead of taking effect in October.